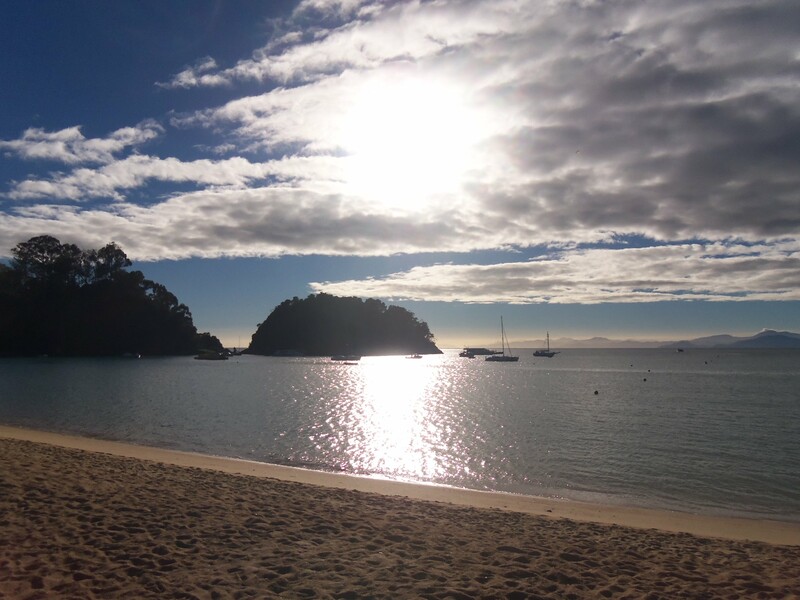 For our stop at Abel Tasman national park we stayed in the small town of Kaiteriteri. Just a short strip of accommodation and shops along a beautiful beach. 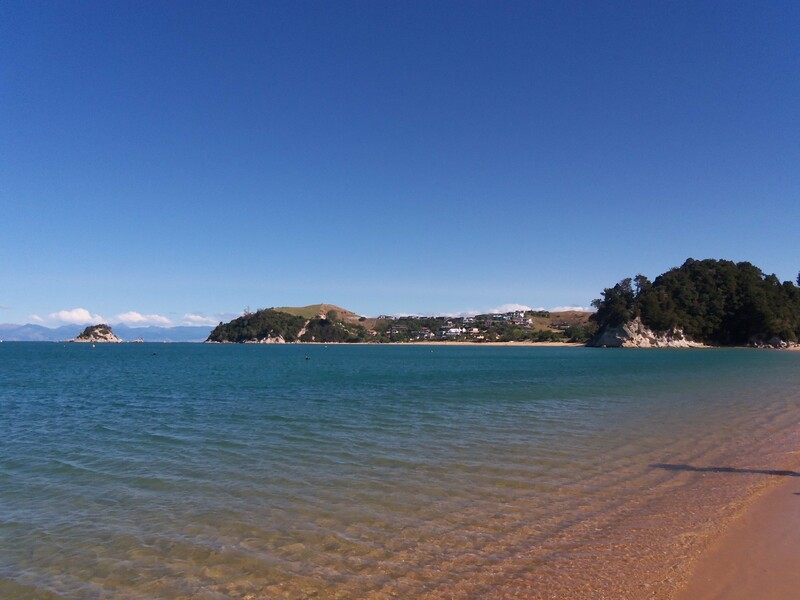 Kaiteriteri – proudly displaying their inclusion in Guardian Travel top 5 along the seafront. The park is accessible by water taxi from here but we drove up the winding roads to the next township of Motueka to hire kayaks. There are various different guided tours you can take from half a day to 4 days but we decided to brave it alone for a half day around the park’s azure waters.